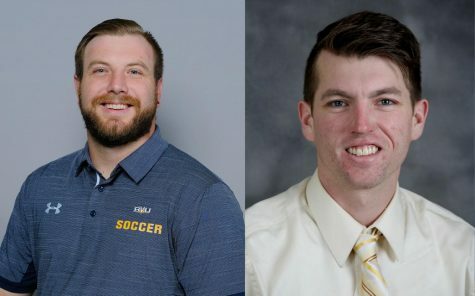 As the winter chill continues to blanket the city of Storm Lake, the trio of winter sports at Buena Vista University are finally wrapping up with a few more matchups on all three teams’ schedules. After winning two of their first three games this season, the Beaver Women’s Basketball squad, led by first year Head Coach Dana Christen, faltered midway through the year. 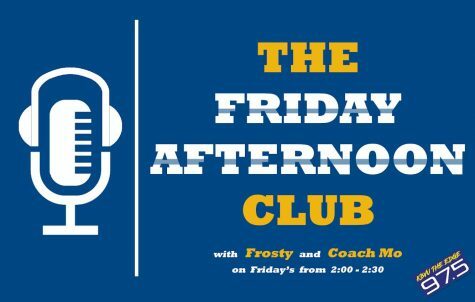 Posting a 2-3 record in the month of December, knocking off Nebraska Christen 67-54 on the 3rd, and Westfield State 82-76 on the 29th, they lost their form in January. With nine straight conference games in the first month of 2019 ahead of them, plaguing injuries and a low-scoring offense caused the Beavers to lose every game in the ARC during January. 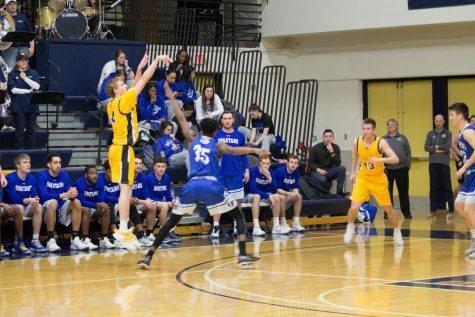 These losses included some heartbreakers as well, such as: a 69-66 loss to Luther, a low-scoring affair that finished 47-45 against Central in favor of the Dutch, and a nail biting 71-68 defeat to Nebraska Wesleyan on February 2nd. The team would also be knocked out of conference tournament contention in late January. However, the five seniors on the squad in Holly Schneider, McKenna Whitehill, Hannah Appleseth, Morgan Muhlbauer, and Jenn Poots would not be deterred. With two home games left on their schedule, the Beavers finished the year strong with a pair of dominating performances. 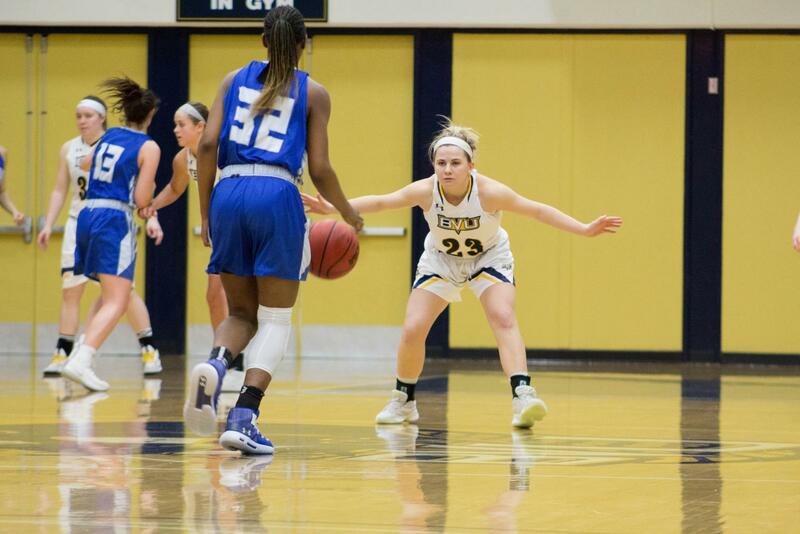 Against the Central Dutch in Siebens Fieldhouse on February 6th, a fired up Buena Vista team grabbed their first conference win of the year in a huge 85-61 victory. Immediately after on February 9th, the Beavers added another win to their tally on an electric Senior Day, defeating Dubuque 95-73. Head Coach Dana Christen was thrilled coming off of those two huge ARC wins, and is looking forward to finishing the season strong in Waverly on Wednesday night to potentially upset the Wartburg Knights. With one game left on their schedule, the Women’s team in 8th in the American Rivers standings with an overall 7-17 (2-13 in ARC). The leading scorer for the squad is Holly Schneider who averages 10.6 PPG, followed by Erin Gerke with 10.5. Morgan Muhlbauer also grabs 6.6 rebounds per game, while Schneider has 6.4. Meanwhile, the Beaver Men’s Basketball team has had a little more success in conference play under first-year Head Coach Todd Lorensen. 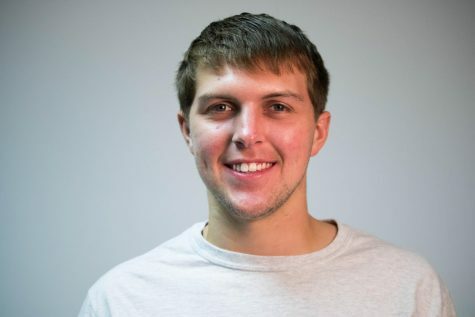 Though their season hasn’t gone exactly the way Coach Lorensen would have liked, the squad has played an exciting brand of basketball through early 2019 and are heating up from beyond the three-point line. The Beavers began the year hot and cold, grabbing a big win over Coe at home before losing to Simpson and Loras on the road. Buena Vista then ended 2018 strong with four straight wins in late December. 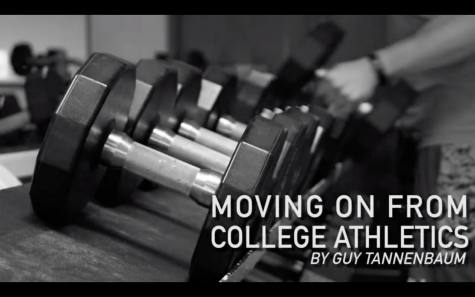 However, just like the Women’s squad, the Men’s team faltered in January. Out of the nine American Rivers Conference games played, BV only won two. Those pair of wins included an 89-81 home victory on Alumni Day, and an on-the-road 96-83 win against Luther. 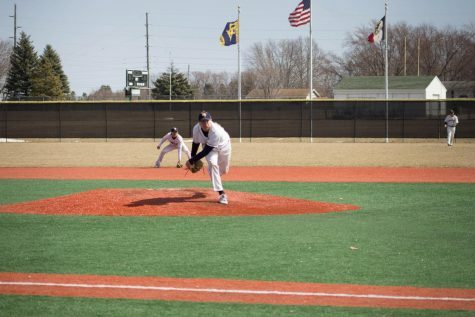 With only three conference wins entering February, lone senior Connor Winkelman rallied the team late against the #1 ranked Nebraska Wesleyan team in Lincoln, but fell just short. Buena Vista lost the game 89-86, but took home a school record 21 three-point attempts made. 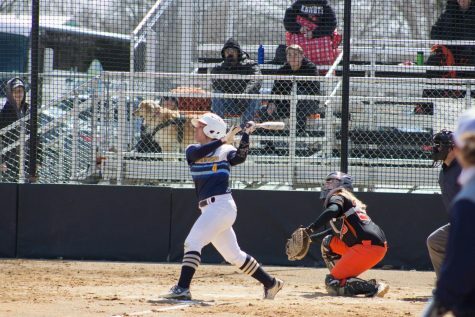 A spark from the close loss against the Prairie Wolves provided Buena Vista hope, sitting just three losses behind the 6th placed in conference Dubuque Spartans. If BV won out their remaining three games and the Spartans lost all of theirs, the Beavers could be in. A pair of electric performances against the Central Dutch (108-73) and Dubuque Spartans on Senior Night (83-61) gives the Beavers hope entering their final regular season game against the Wartburg Knights this coming Wednesday. Buena Vista currently sits at 5-10 in conference play while the Spartans at 6-9. Meanwhile, the Central Dutch are in the mix at 5-9. 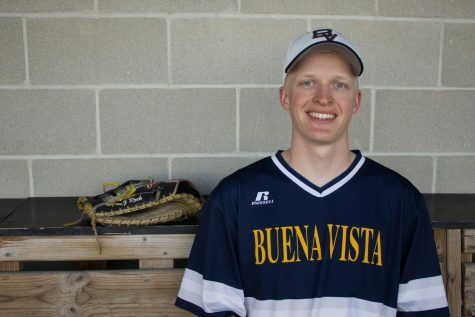 Winkelman, finishing his career at Buena Vista strong, has impressed Coach Lorensen as he leads the squad to a hopeful 6th seed in the conference tournament. The team is lead in scoring by Tim Jeffries with 15.5 PPG. Robert Hawkins averages 9.5 PPG in second place. Those two also lead in the team in rebounds per game with 4.3 and 4.8 respectively. Over on the mat, the Buena Vista Wrestling team has been seeing newfound success under new Head Coach Mark Rial, finished the year’s duals at 5-8 overall (2-6 in ARC). The past decade has not been kind to the Buena Vista Wrestling team as they’ve failed to post over five wins since 2007-2008. However, they finished in 6th place in the American Rivers conference which is their highest ending spot since 2014. The ARC continues to prove itself as the stomping grounds for the best D3 wrestlers in the country with four top-12 ranked teams leading the pack. Though the once perennial powerhouse Beavers of the 80’s and 90’s are still long gone, the Buena Vista Wrestling team has had a very promising year. BV lost their first dual of the year 32-6 in favor of the number eight ranked Loras Duhawks, but bounced back immediately to dominate St. John’s in Minnesota 31-13. A pair of wins throughout midseason against non-conference opponents proved beneficial to the growth of the squad, but the team fell just short against Nebraska Wesleyan on the annual “Dinner and a Show” night in Siebens Forum that accompanied the Senior Night Festivities. Nonetheless, the Beavers persisted and found conference success on January 19th, defeating the Dubuque Spartans 27-21. The very next dual, Buena Vista crushed the Simpson Storm in Indianola, 31-11 in favor of the visiting BV team. To no surprise, Brad Kerkoff shone in his senior year for Buena Vista with a team best 23-8 record. Kerkoff also earned himself an American Rivers Wrestler of the Week award after defeating the #3 ranked at 165 Mark Choinski in the Pete Wilson Invite. Kerkoff placed second there as well. 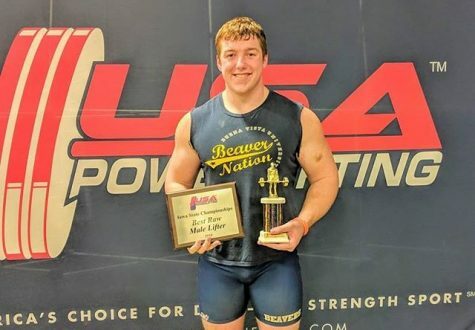 Dylan Huntoon came back to the Beaver Wrestling team after a two-year break, and impressed back on the mat. He finished 19-8 overall, and also picked up four conference dual wins. Among the other top performances for Buena Vista was 125-pounder Byron Fleming in his first year (14-15) and Kevin Pape at 184/197 (12-14). 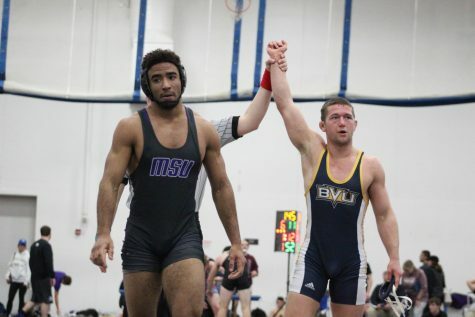 Finally, 174 pounder Shane Vaughan, coming off of a knee injury that sidelined him for most of the 2017-2018 season, rose to a leadership position and had a great season as a result. Finishing the season at 17-11 overall, Vaughn also increased his career record to 48-39. 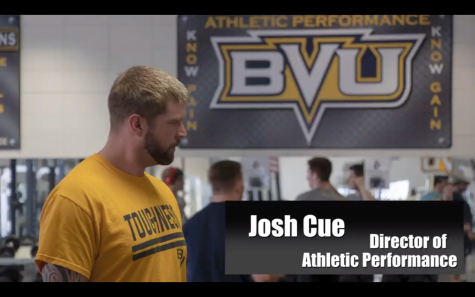 With the biggest tournament of the year looming, the BVU Wrestling team prepares for the Lower Midwest Regionals on February 23rd and 24th to finish off the season. If a Beaver makes it through the gauntlet of Regionals, they’ll compete in the D3 National Tournament on March 8th and 9th.